Cicatricial alopecia (scarring alopecia) is an autoimmune disease in which the body’s immune system attacks its own hair follicles. This causes inflammation and then progressive bald patches to develop. The immune system reacts to anything it considers harmful and alien to the body. It responds by unleashing white blood cells which then attack the invader relentlessly until it’s been destroyed. However, the reason why the immune system attacks hair follicles in those unfortunate enough to have this condition is unclear. There certainly doesn't appear to be any genetic link. Cicatricial alopecia can be either a primary process, whereby it directly attacks the hair follicles, or a secondary process, whereby it indirectly attacks the hair follicles - this type occurs when your immune system initially reacts to something like a serious burn, but then targets your hair follicles as well. But regardless of which type it is, the outcome is always the same – the hair follicles are completely destroyed causing permanent hair loss and tissue scarring under the skin. And it's because of this scarring that cicatricial alopecia is also known as scarring alopecia. Of course, the word "scarring" immediately suggests that this type of hair loss might be caused by some physical injury like a cut or burn, which then heals but without growing any new hair. And it is true that, if an injury is bad enough, the hair follicles can be damaged and new hair won’t grow. 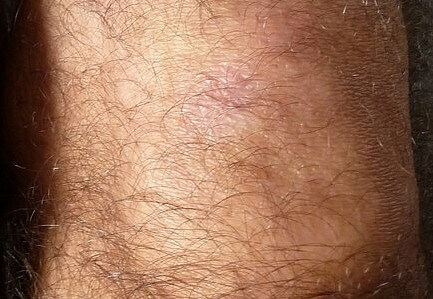 For example, I once got a cut on my knee which, when healed, formed scar tissue different from normal skin. And this new scar tissue then grew no hair from it at all. 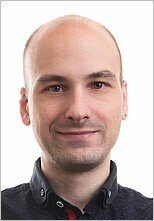 Later on though, I’m pretty sure that a Folligen product managed to regrow some hair, as you can see from the photo below. But, for most people of course, an injury such as a cut or burn won’t cause their immune system to start attacking their own hair follicles. The actual mechanism taking place that causes scarring alopecia always seems to involve destruction of the top section of the hair follicle - in other words, near the skin surface rather than the lowest part (the root) which actually grows the hair shaft. And at first that might sound a bit odd. However, this top section includes the bulge area, which is a very important part of a hair follicle because it contains stem cells. 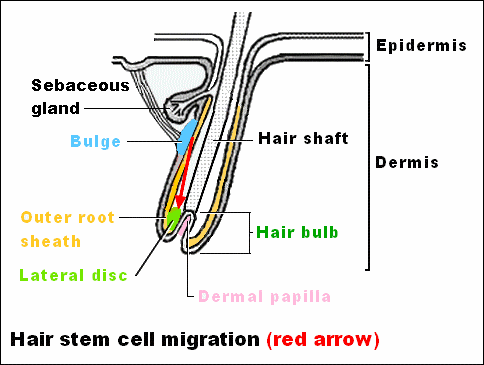 And the migration of these stem cells down to the base of the follicle is vital for the hair’s survival during the next hair growth cycle (see red arrow in diagram below). You can learn more about stem cell migration by reading hair cloning. 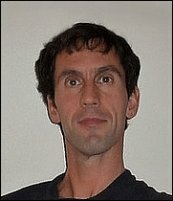 This type of hair loss can be a bit tricky to diagnose. First of all, despite its alternative name, the scarring won’t be visible on the skin surface in most cases (the tissue scarring develops under the skin). It can also develop very slowly with no pain or obvious physical signs at all, and so go completely unnoticed for quite a while. Or, it can develop very quickly, rapidly forming painful red skin, blisters, itching and a burning sensation due to the inflammation caused as your immune system destroys your hair follicles. Finally, it also tends to form patches of baldness, and this can cause confusion with alopecia areata – a disease which has similar symptoms. However, in cicatricial alopecia, the edges of these patches tend to be rougher than they are in areata - see photos below. Cicatricial alopecia can affect both men and women. Thankfully, it is very rare. But, if you suspect you might have it, you’ll need to go see your doctor. That's because treatment depends upon the exact nature of the condition you have, and so a scalp sample (biopsy) will be needed to determine this. Medication is then prescribed, which will often include antibiotics, corticosteroids or both. However, this disease can reappear, so further treatments might be necessary. As for the bald patches, hair regrowth products and treatments might be able to help any follicles still alive in the affected region to regrow some hair. But hair growth cannot be restored if the follicles are already dead. As for my own techniques, since cicatricial alopecia is an autoimmune disease that completely and permanently destroys hair follicles, they are unfortunately very unlikely to be of any benefit. Finally, if the hair loss you experience is only localized, you might be able to comb over the bald patch. Other autoimmune diseases and conditions can cause hair loss too. These include the disease alopecia areata and the thyroid conditions hyperthyroidism & hypothyroidism.